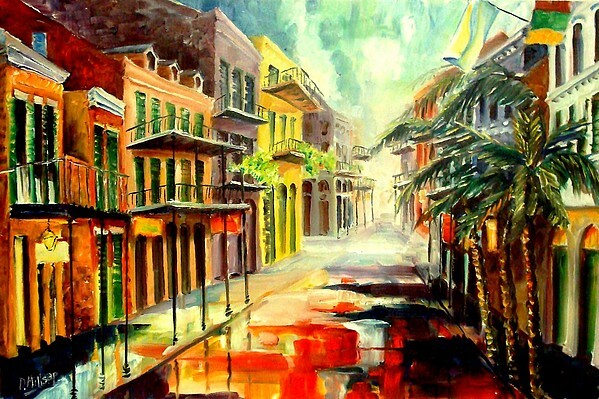 This is an especially nice one. 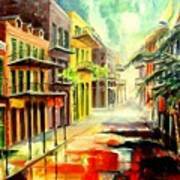 To me, most all your New Orleans scenes are about the wet heat of summer. 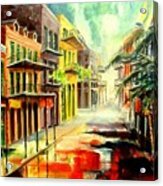 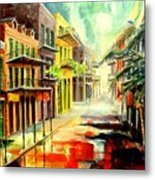 This colorful original oil painting of a street in the French Quarter captures the atmosphere of a hot, humid day in New Orleans. It is painted in an absract-impressionist style with splashes of bold red.